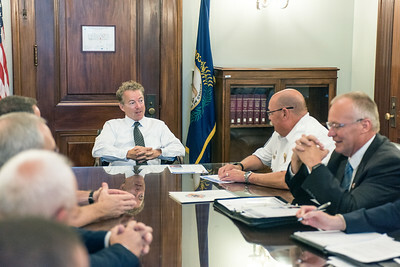 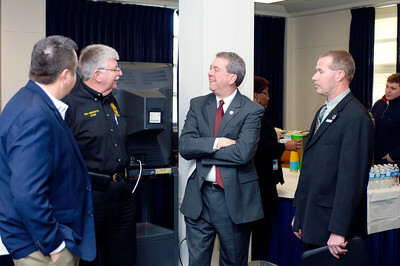 Senator Rand Paul (R-KY) discusses permanent EMS Medicare reimbursement reform with Kentucky Ambulance Providers Association president Thomas Adams and Kentucky Board of Emergency Medical Services executive director Michael Poynter, along with the rest of the ambulance association's Congressional Delegation in the Russell Senate Office Building. 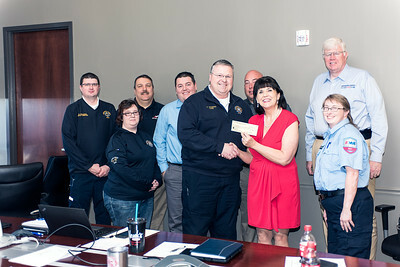 Emergency Medical Educators of Kentucky president Mabel Murray presents a donation of $1,200 to Kentucky EMS Memorial Foundation chair Aaron Stamper. 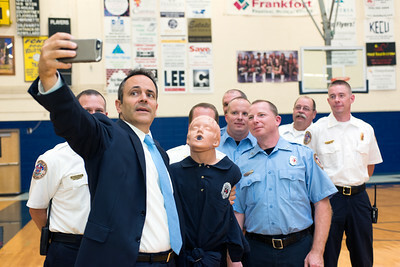 Kentucky Governor Matt Bevin poses for a "selfie" with EMS representatives at the ceremonial signing of Kentucky Senate Bill 33. 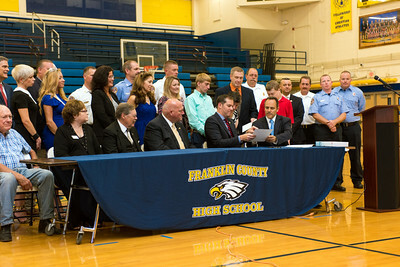 Kentucky Governor Matt Bevin ceremoniously signs Kentucky Senate Bill 33. 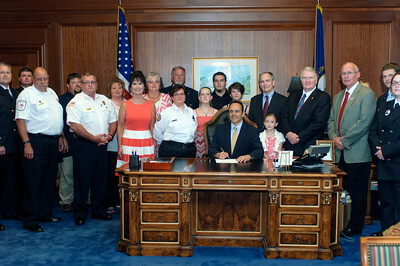 Kentucky Governor Matt Bevin ceremoniously signs Senate Bill 43. 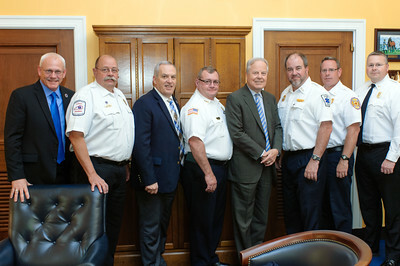 Kentucky Ambulance Providers Association Congressional Delegation with U.S. Representative Ed Whitfield in his House Rayburn office. 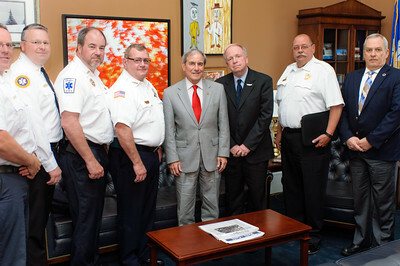 Kentucky Ambulance Providers Association Congressional Delegation with U.S. Representative John Yarmuth in his House Cannon office. 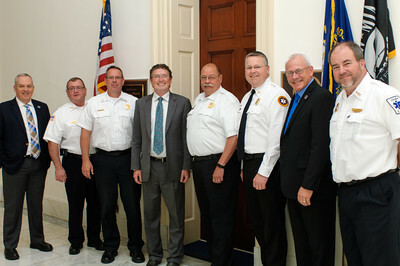 The Kentucky Ambulance Providers Association Congressional Delegation with U.S. Representative Thomas Massey at his House Cannon Office. 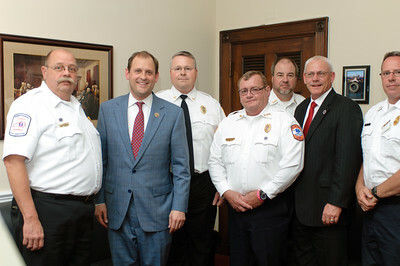 Kentucky Ambulance Providers Association Congressional Delegation with U.S. Representative Andy Barr in his House Longworth Office. 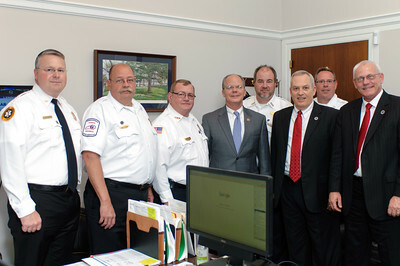 Kentucky Ambulance Providers Association Congressional Delegation with U.S. Representative Brett Guthrie in his House Rayburn Office. 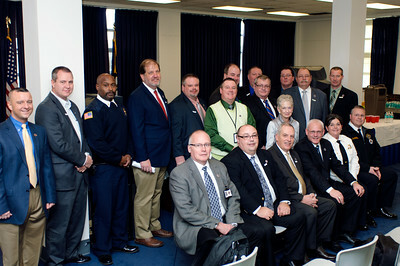 Kentucky Ambulance Providers Association Congressional Delegation in the House Cannon Office Building. 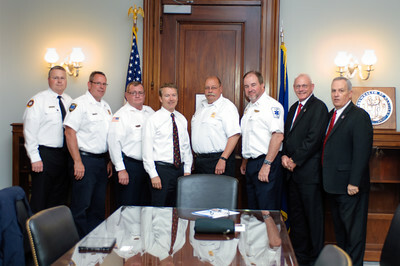 Kentucky Ambulance Providers Association Congressional Delegation with Senator Rand Paul in his Russell Senate Office. 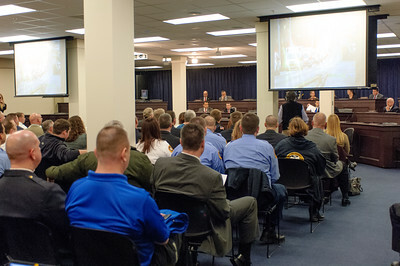 Senate Bill 43 is heard by the Senate Appropriations and Revenue Committee. 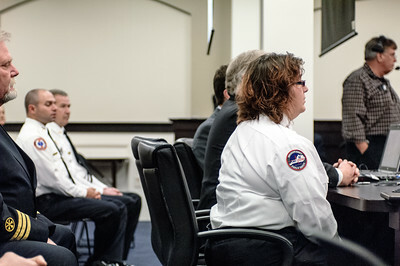 Paramedic Janine Mackey, wife of Paramedic John Mackey who was killed in the line-of-duty last November, sits next to Senate Bill 43 sponsor Senator Tom Buford at the bill's hearing while they answer questions for the Senate Appropriations and Revenue Committee. 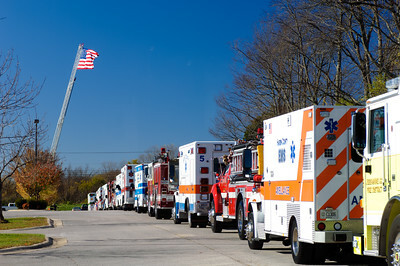 Jessamine County EMS Paramedic John Mackey Funeral. 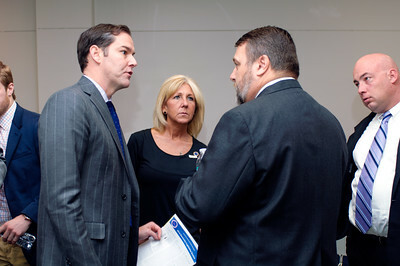 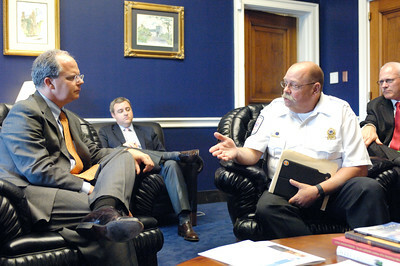 KAPA President Tom Adams discusses permanent Medicare relief with Rep. Brett Guthrie. 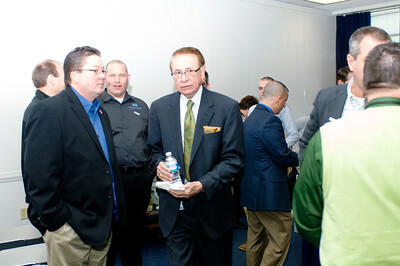 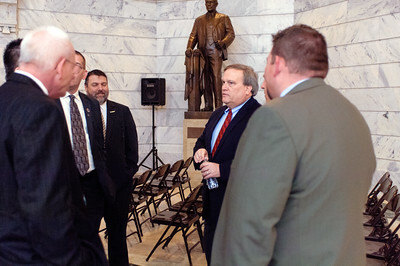 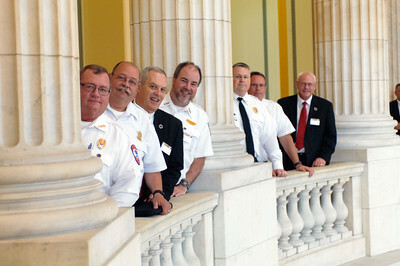 Kentucky Ambulance Providers Association Congressional Delegation. 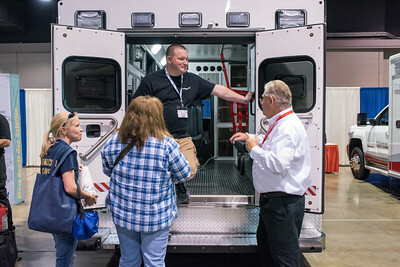 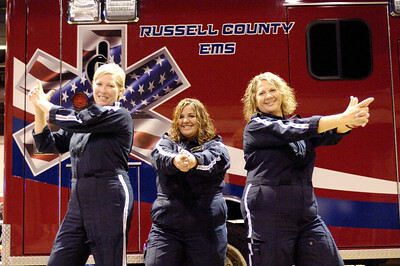 2014 Kentucky EMS Conference and Expo.